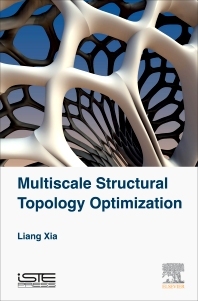 Multiscale Structural Topology Optimization discusses the development of a multiscale design framework for topology optimization of multiscale nonlinear structures. With the intention to alleviate the heavy computational burden of the design framework, the authors present a POD-based adaptive surrogate model for the RVE solutions at the microscopic scale and make a step further towards the design of multiscale elastoviscoplastic structures. Various optimization methods for structural size, shape, and topology designs have been developed and widely employed in engineering applications. Topology optimization has been recognized as one of the most effective tools for least weight and performance design, especially in aeronautics and aerospace engineering. This book focuses on the simultaneous design of both macroscopic structure and microscopic materials. In this model, the material microstructures are optimized in response to the macroscopic solution, which results in the nonlinearity of the equilibrium problem of the interface of the two scales. The authors include a reduce database model from a set of numerical experiments in the space of effective strain. Advanced students, researchers and professional engineers in mathematics for engineering, optimization and computational intelligence and computational methods in civil and structural engineering. Liang Xia is a postdoctoral researcher in computational mechanics at the Laboratory of Multiscale Modelling and Simulation, University of Paris-Est, France. His research interests cover structural topology optimization, multiscale modeling and model order reduction. He is the author and co-author of 17 peer reviewed journal papers.